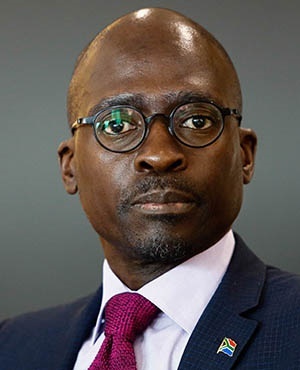 Cape Town – The statements made about Home Affairs Minister Malusi Gigaba in the Fireblade Aviation judgment require serious attention, said President Cyril Ramaphosa. This is according to Ramaphosa’s written reply to an earlier question by Congress of the People leader Mosiuoa Lekota, Business Day reported. Lekota enquired about the president’s response to the high court judgment on the matter and if any action would be taken against Gigaba, who was found to have breached the Constitution. In October 2017 Fireblade Aviation, owned by the Oppenheimer family, was granted permission to operate a private VIP terminal at OR Tambo International Airport, by North Gauteng High Court Judge Sulet Poterrill. The case was brought in November 2016 by Fireblade to enforce a decision initially made by Gigaba in early 2016, when he was home affairs minister. The Home Affairs Department appealed the judgment in the high court, on the grounds that Gigaba suspended approval. But this was dismissed by Judge Neil Tuchten on February 21 2018 when Gigaba was finance minister. Tuchten also noted that Gigaba is bound by the Constitution not to act in a way inconsistent with his office. “By telling a deliberate untruth on facts central to the decision of this case, the minister has committed a breach of the Constitution so serious that I would characterise (it) as a violation,” said Tuchten. Responding to the ruling, Ramaphosa said the statements about the minister are “of great concern” and need to be given “serious attention”. “I am therefore giving the matter due and proper consideration,” Ramaphosa said. Home Affairs took the matter to the Supreme Court of Appeal (SCA), but this was overturned last week. The Home Affairs department issued a statement last week, indicating that it would study the SCA judgment before taking further action.